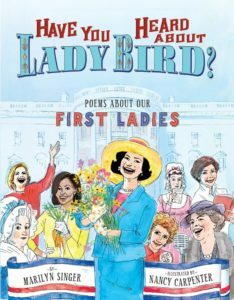 Marilyn Singer details the lives of our nation’s First Ladies and their significant contributions to American history in an interesting and thought-provoking fashion; poetry! From Martha to Melania, she accounts for them all. My five-year-old daughter and I sat down to read this book together and she was done before I could start reading about Abigail Adams (Second First Lady). I, however, could not wait to read on. 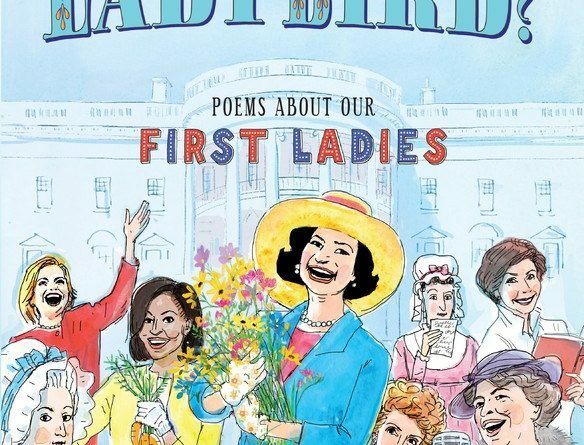 Sure, we have learned a thing or two about some of the First Ladies in our grade-school years, but reading this book took me down a rabbit-hole of excited inquiry about each of them! I loved that the poems were quick and to-the-point. What is even better though, is that there is a section at the back of the book that offers a full paragraph of extended information about each woman. Nancy Carpenter’s illustrations were a great compliment to the writing, too. The pictures really helped to set the tone of each poem. While my daughter was a bit young for this book, I highly recommend it for kids slightly older. Editors Note: You may wonder why we elected to post this review, it has nothing directly to do with the Disney parks or films. It is a Children’s History book by Disney Publishing that we thought was interesting so wanted to share it. Shelly is a native Southern Californian who resides in Orange County with her husband and three year old daughter. She is rediscovering Disney through the eyes of her daughter. 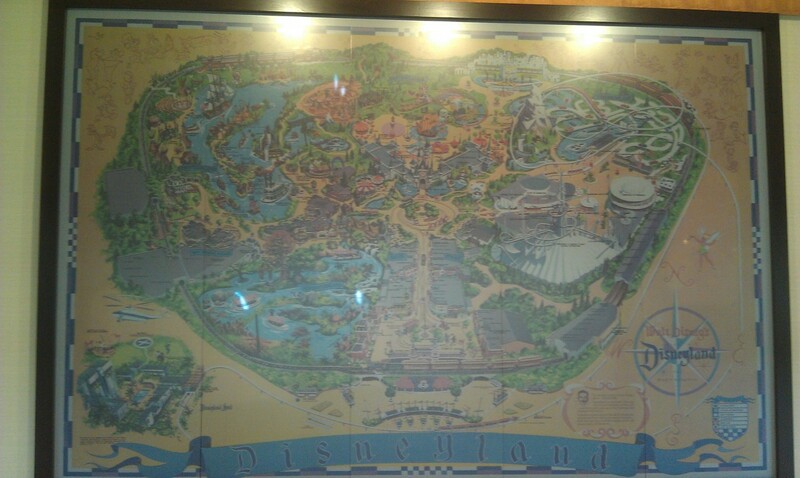 The map at the Disneyland Hotel entrance now has some animations that cycle. 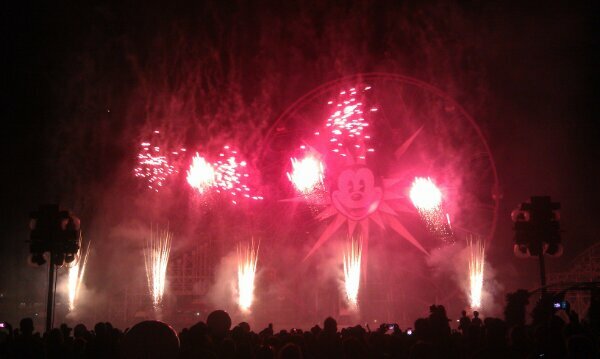 The World of Color features a 4th of July preshow all week.